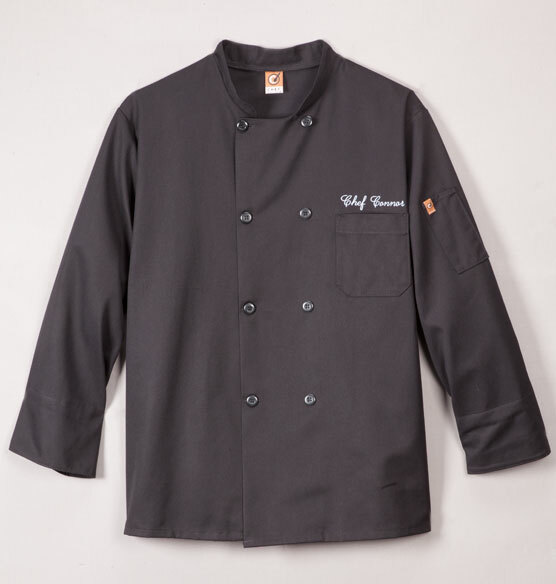 Fulfill your dream of wearing a black chef jacket with our version of a Personalized/Monogrammed Black Chef Jacket. 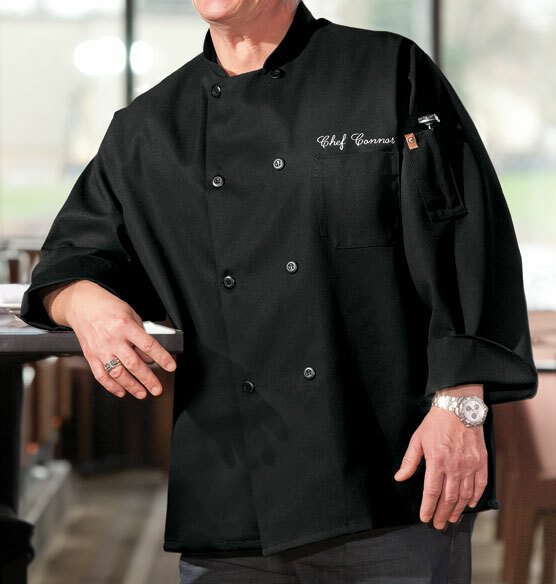 When it comes to creating an authentic chef coat with names, our fashionable coat offers top-notch quality. 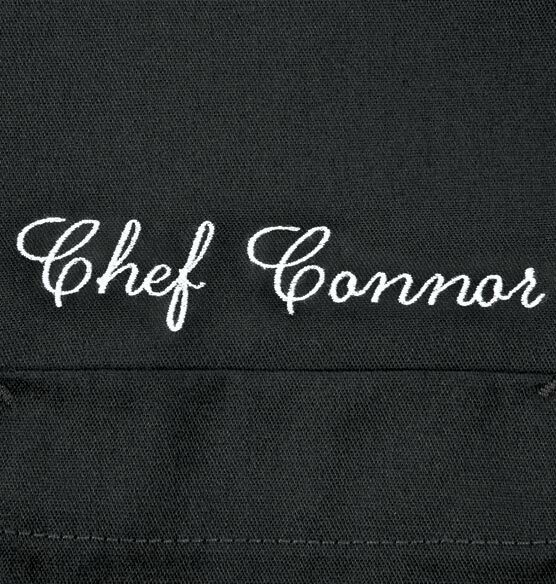 Easily turn it into a monogrammed black chef's jacket with the addition of your elegantly embroidered name. Unisex sizes. I bought this for my daughter who will be graduating soon from Culinary School. It looks nice. Thank you. I bought one for my husband he loved it. I have one and wanted my son to enjoy one too, as he is a good cook!!!!!! How long does it take to personalize and receive? BEST ANSWER: Thank you for your question. Personalized items deliver in 6-10 business days. We hope this information will be of help to you. I would like to get a jacket for my mother who is a personal chef- I want to put her company logo on the jacket. Do you allow that or have the means to do this? BEST ANSWER: Thank you for your question. Unfortunately, we can not apply a logo to this item. This item can only be personalized with up to 15 characters (letters or numbers). We hope this information will be of help to you. BEST ANSWER: Thank you for your question. The sizing for this item is Order by chest measurement: M (40"-42"), L (44"-46"), XL (48"-50"), 2XL (52"-54"). We hope this information will be of help to you.